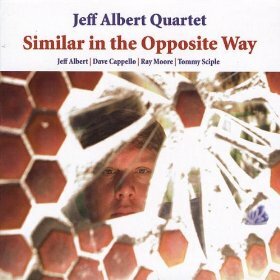 Jason Crane interviews trombonist Jeff Albert about his new album, Similar In The Opposite Way (Fora Sound, 2009). Albert is one of the leaders of the creative music scene in New Orleans, and his Open Ears Music Series helps provide a home for experimental and free music in the Crescent City. In this interview, Albert talks about the Frenchman Street scene, his Chicago-New Orleans connection, and the cultural condition of post-Katrina New Orleans. Find out more at jeffalbert.com.